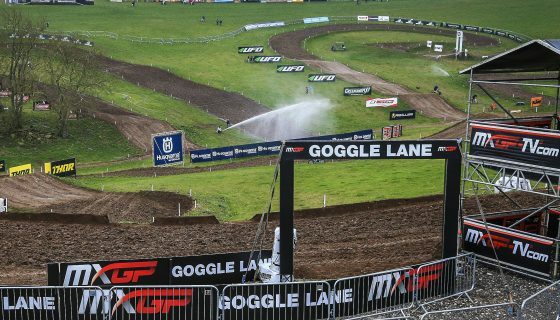 THOMAS KJER-OLSEN BATTLES THROUGH MXGP ROUND FOUR TO MAINTAIN MX2 WORLD CHAMPIONSHIP LEAD. 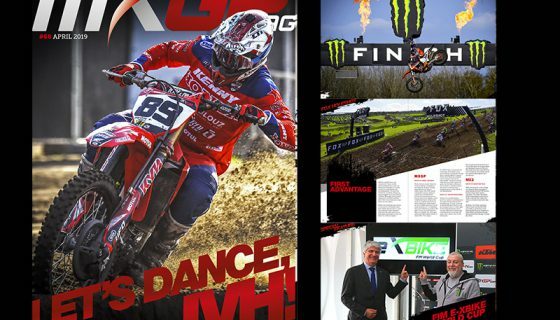 ROCKSTAR ENERGY HUSQVARNA FACTORY RACING RIDER FINISHES 5-4 IN ITALY TO HOLD A 20-POINT CHAMPIONSHIP ADVANTAGE. 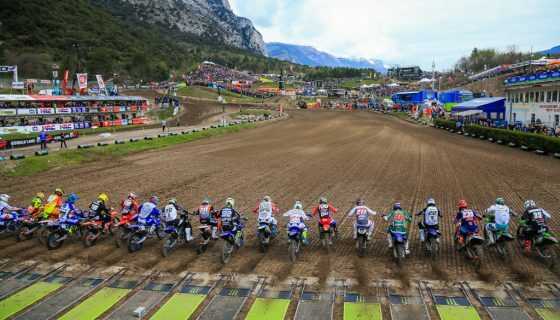 Ahead of the five-week break in the 2019 FIM Motocross World Championship, Rockstar Energy Husqvarna Factory Racing’s Thomas Kjer-Olsen has maintained his overall lead in the MX2 World Championship standings following a tough MXGP of Trentino, Italy. 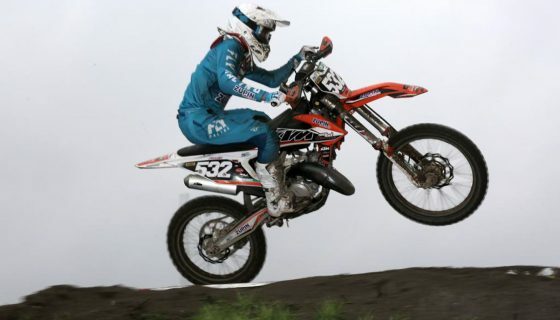 Fifth overall on the day, Kjer-Olsen finished fifth in moto one and fourth in moto two. In the MXGP class Arminas Jasikonis delivered the best result for Rockstar Energy Husqvarna placing sixth overall, moving up into fourth in the MXGP series standings. Despite not finishing on the podium at round four of the MX2 World Championship, Thomas Kjer-Olsen nevertheless battled hard throughout both motos in northern Italy on his FC 250. Finishing fifth in the opening race, having completed the opening lap in the same position, TKO was forced to give his all following a mistake on lap two that dropped him to 10th. Falling further back on lap three, he then doggedly pursued the group of riders ahead of him to eventually move into seventh on lap eight. Continuing to move forwards he jumped up to his eventual finishing position of fifth. 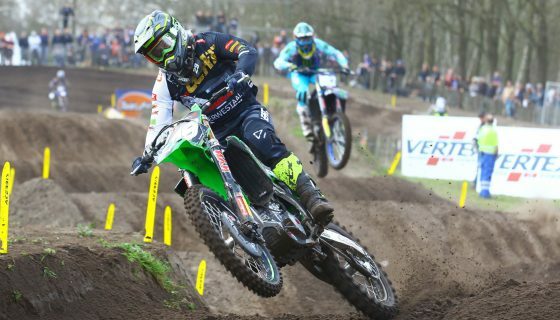 In the second moto Kjer-Olsen again completed the opening lap in fifth, holding that position for eight laps. Reaching as high as third, which he held for seven laps, he eventually completed the moto in fourth. Finishing 12th overall Jed Beaton placed just outside the top 10 in each moto in 12th and 13th following less than perfect starts. In the MXGP category, Rockstar Energy Husqvarna Factory Racing’s Arminas Jasikonis moved into an impressive fourth overall in the MXGP championship standings following another consistent GP performance. 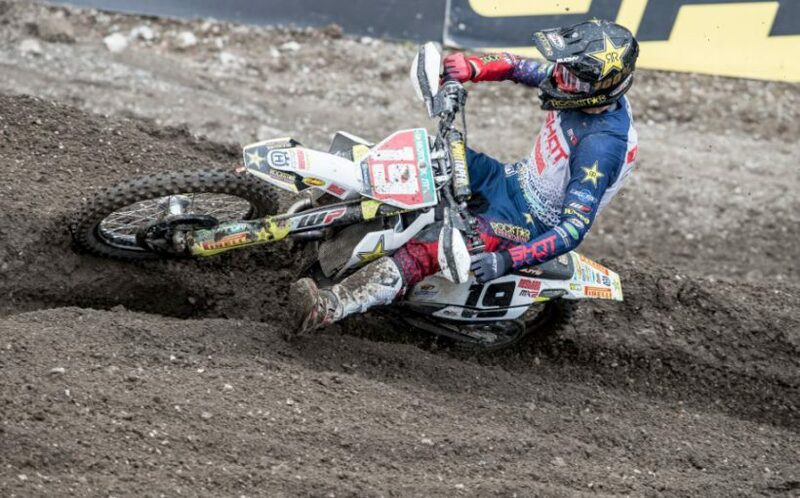 Although not a huge fan of the slippery Trentino circuit, the Rockstar Energy Husqvarna Factory Racing rider ended the event with ninth and fifth place results. 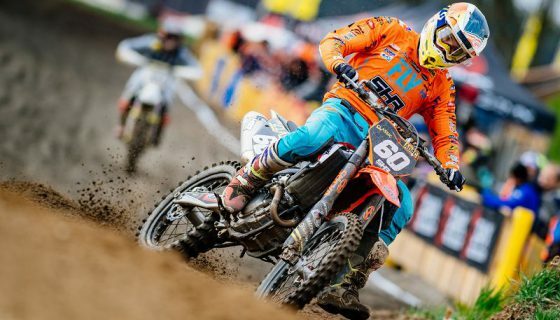 Continuing his impressive form in the FIM Europe EMX125 European Motocross Championship, TC 125 powered Kay de Wolf placed third overall in Trentino following 4-4 results. With two rounds of the series now complete Kay sits third, less than 20 points behind the championship leader.